About ten months ago Razer teased the Fiona gaming tablet, and now the gaming peripheral maker is seeking the input of gamers to tell them what you want. You can give your opinion at Facebook. Razer said they'll launch this gaming tablet if the Facebook post gets 10,000 likes/shares in seven days, and it seems it's already a go because they've received over 10,400 likes since yesterday. 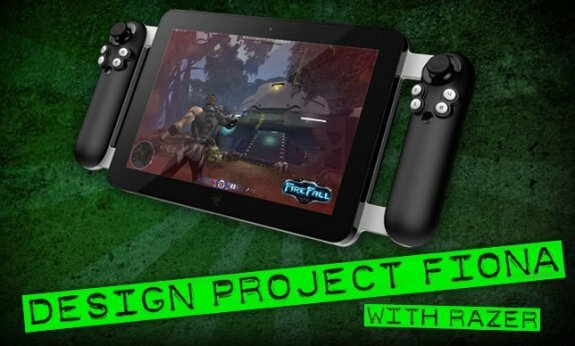 Earlier this year, we announced a concept design - Project Fiona: The World’s First Tablet Designed for PC Gamers (http://j.mp/PuqvXQ). We’ve been working on it since then and have narrowed down a couple of key concepts/designs. We would like to reach out to the community to see the level of interest before we actually launch it. If you’d like to see Razer make the product that won “Best of CES” People’s Voice Award, then now’s your chance to let your voice be heard. If this post gets 10,000 likes/shares in the next 7 days, we’ll work on making the concept a reality and launch the product. On top of that, we’ll share some of the high-level concepts with you to crowd source some of the design decisions – For Gamers. By Gamers. We’d like to hear how you would like to design the actual tablet right here on the Razer Facebook Page, as well as take suggestions for specs, form factor, pricing, features etc. This is your chance to tell us what you want. So if you really want to get your hands on a tablet designed for PC gamers - Like this post, Share it, and let your voices be heard!